100 Years since the Armistice, members of The Boys’ Brigade (BB) joined local communities across the UK to honour those who served in World War One and in other conflicts. 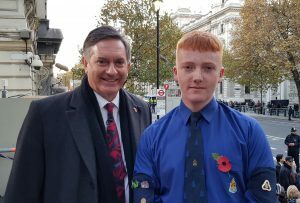 At the National Service of Remembrance at the Cenotaph in London, The Boys' Brigade was represented by 80 young people and leaders from different corners of the UK. Members and leaders from 31st Northampton, 1st Acomb, 3rd Kettering, 1st Ossett (England); 16th Newtownabbey, 24th Belfast, 1st Fintona and 7th Portadown (Northern Ireland); and 22nd Paisley and 1st Whitburn (Scotland) took part in the Cenotaph Parade. Karl Boyd, member of 16th Newtonabbey company, was one those taking part in the parade. His Great Grandfather L/Cpl William Boyd served in WW1. Karl was interviewed by Simon McCoy on BBC News on Sunday afternoon. “As I’ve got older I’ve taken more of an interest in what my Great Grandfather did and researched the medals he received. 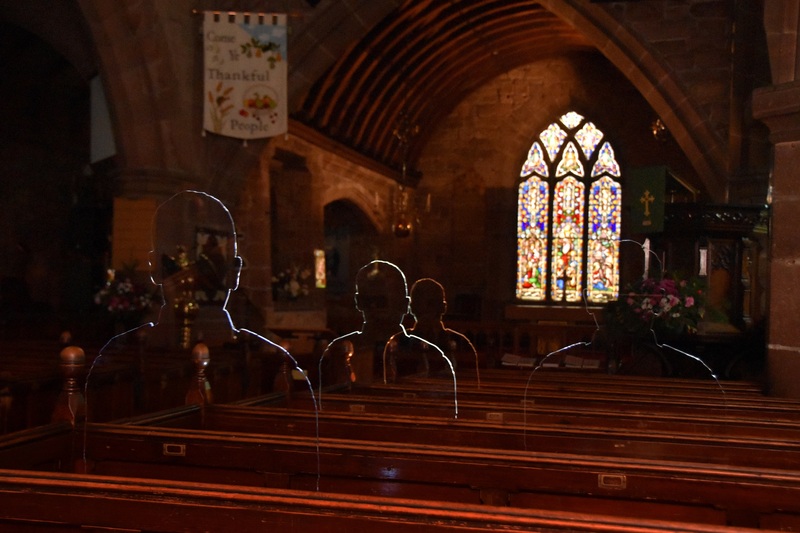 Elsewhere, 68 BB groups from around the UK have been taking part in the ‘There But Not There’, a project to commemorate those who died in the First World War through installations of silhouettes wherever there is a Roll of Honour. 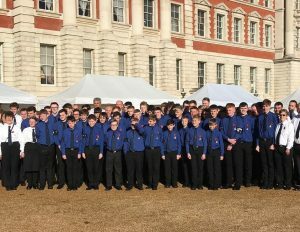 Many other BB young people played their part in ‘Battle’s Over’, an international commemoration marking 100 years since the guns fell silent at the end of World War I. 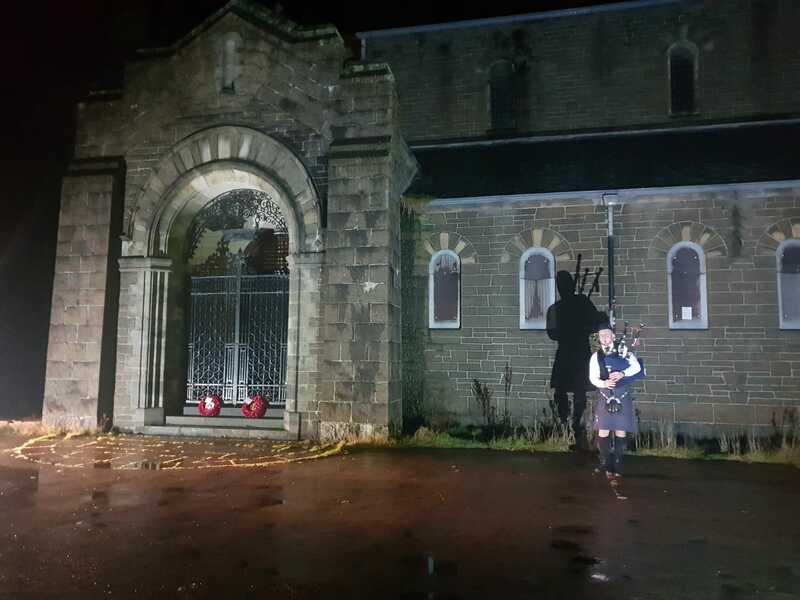 It began at 6am with lone pipers playing Battle’s O’er, a traditional Scottish air played after a battle, outside cathedrals and churchs, following which a specially written tribute was read out. At the same time, over 1,000 pipers played the tune in individual locations within their local communities, including many BB pipers. At 6.55pm Buglers sounded the Last Post at more than 1,000 locations, where at 7pm beacons were lit in a tribute called Beacons of Light, signifying the light of peace that emerged from the darkness of four years of war.